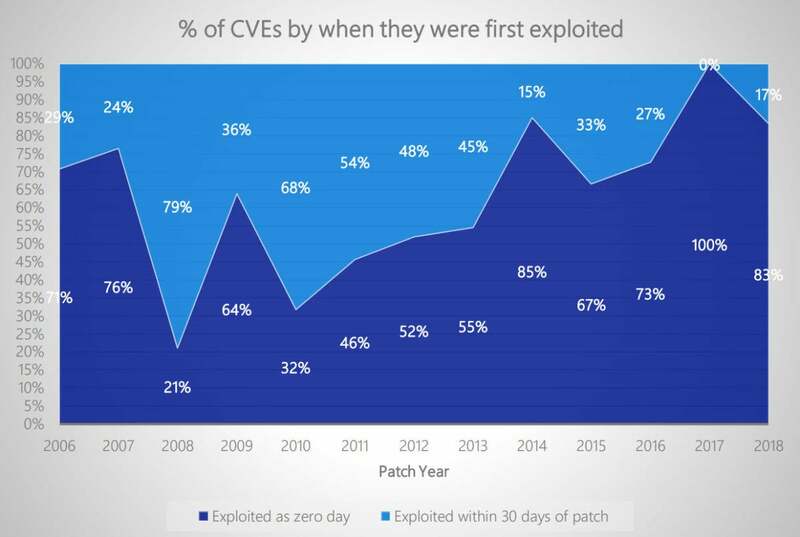 Yesterday’s Blue Hat IL presentation from MSRC shows that, in 2017-18, the threat from zero days far exceeds the threat of delaying patches by 30 days. Moreover, the vast majority of zero days are used in targeted attacks, not in public attacks. Matt Miller’s presentation at Blue Hat yesterday included some startling statistics, based on data gathered by Microsoft’s Security Response Center. The numbers starkly confirm what we’ve been saying for years: The chances of getting hit with malware by delaying Windows and Office patches for up to 30 days is tiny compared to all the other ways of getting clobbered. 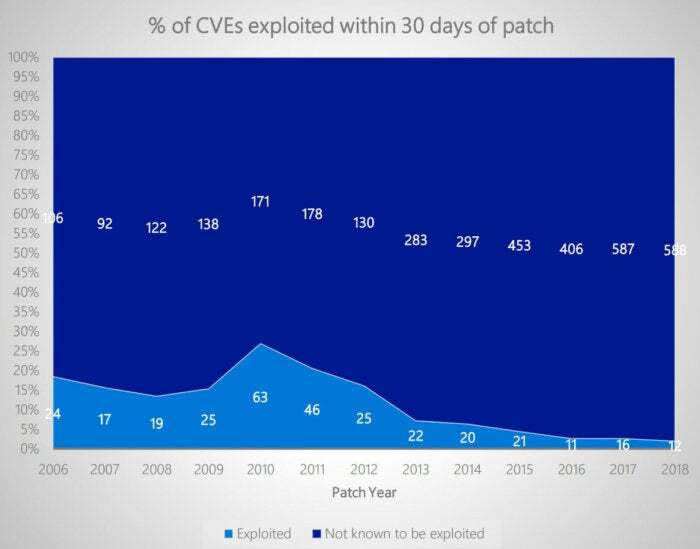 The presentation deck for his talk shows how the number of security holes (measured by CVEs) has grown by leaps and bounds — doubling in the past five years — but the number of actual in-the-wild exploits has gone down by half in the past five years. 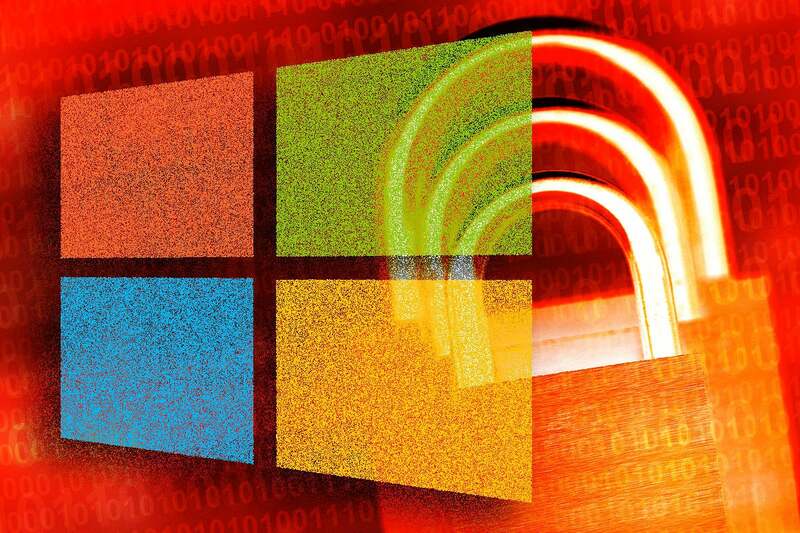 That’s a testament to both the security community’s sleuthing ability and to Microsoft’s improved security features — DEP, ASLR and improved sandboxing. Those technologies have been around for years, and they’re gradually getting better. More than that, the exploits these days are laser-focused on zero days. The malware world’s getting more sophisticated: The bad guys are going for zero days, not for security holes that have already been patched. If a vulnerability is exploited, it is most likely going to be exploited as zero day. For most of us with less-than-NSA-level protection budgets, you can basically bend over and kiss your keister goodbye. One redeeming social value: The really good zero days are hoarded by countries and organizations with their own agendas. They don’t care about you. My takeaway is the same as it’s been for years: You need to patch sooner or later, but it makes no sense at all to patch the minute Microsoft pushes something out the automatic update chute. Look for more no-nonsense advice on the AskWoody Lounge.